A few weeks ago I was contacted by Irresistable Me, a company that specializes in human hair extensions and lace wigs, and was asked if I would be interested in trying out their clip-in hair extensions. As someone who's always wanted longer and fuller hair, I simply could not say no. I've always had dreams and aspirations to have Disney princess level hair. My hair is naturally on the normal-thick side and I have a lot of it. Because of that, it's always laid sort of flat and I lack volume at the root. My hair is also naturally straight with just a teeny bit of wave on some areas. 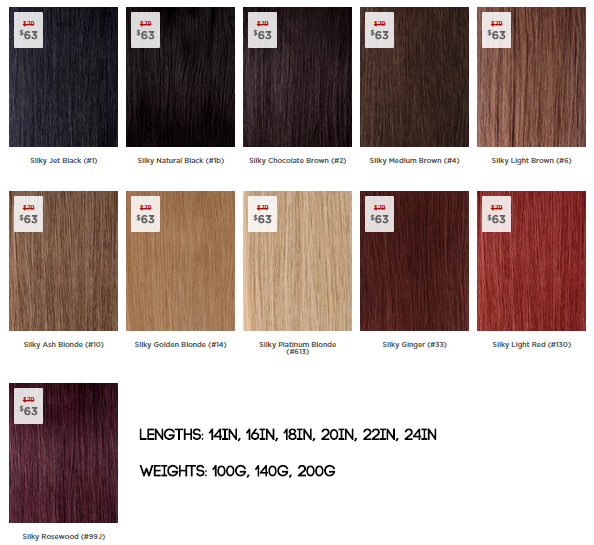 Irresistable Me offers a wide variety of hair shades so you are bound to find a color that matches your natural hair. If you are unsure about what color to pick, it's recommended that you go a shade lighter as you can always dye the hair to match your own. There is also this useful video that shows you HD swatches of all the hair colors. Since this is high quality, human hair, you can cut it, dye and heat style it! I wanted lots of volume and length so I choose the 24in/200g Royal Remy Clip-in Extensions in Royal Golden Blonde (#14). Irresistable Me offers two different versions of their clip-in hair extensions, Silky Touch and Royal Remy. Sadly, the color I chose did not exactly match the color of my ombre hair but it did match my cousin Chelsey's hair perfectly so she served as the model for this blog post! Silky Touch: Silky Touch is our best-selling line made with 100% human Remy hair. These hair extensions are fantastic quality for a friendly price and can be very easily styled, cut, colored and curled to blend in your hair perfectly. The thickness of the hair decreases very slightly towards the ends just like normal hair does which will provide a completely natural look while wearing them. The Silky Touch extensions are perfect for anybody who loves adding a bit of volume and/or length to their hair occasionally or for special events and offer the best quality/price ratio on the market. If you’re just starting with hair extensions and you want something great, the Silky Touch clip-ins extensions are the way to go. 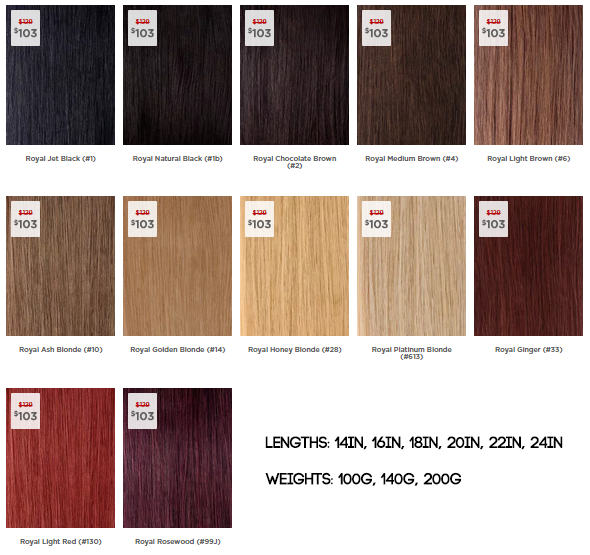 Royal Remy: Royal Remy is our premium line made with 100% human Remy hair. We use top of the line hair and a special treatment unique to Irresistible Me to add extra silkiness and durability and make these the best hair extensions you can find. The thickness of the hair is amazing – the same from the top of the weft to the bottom. This provide a lot of body and bounce while wearing them. Ultimately, the Royal Remy hair will last longer and is the closest match you can find to completely unprocessed hair. 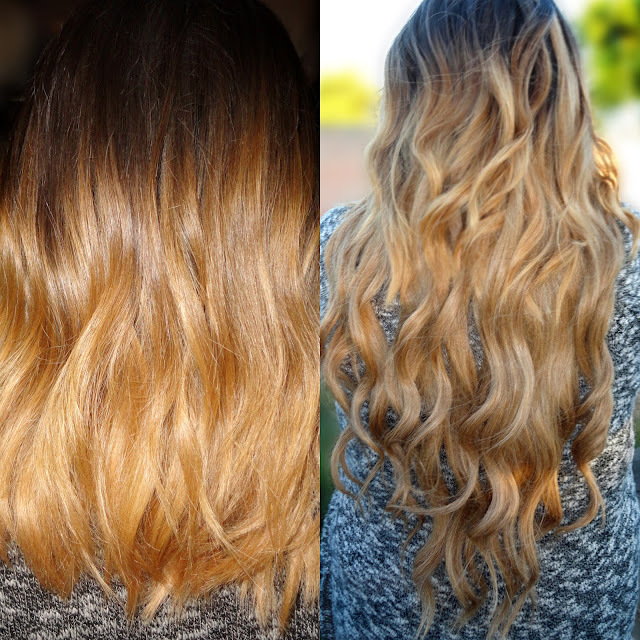 This line is also very easy to blend with your own hair and can be very easily styled, cut, colored and curled. If you’re looking for longevity and volume, the Royal Remy line is the best choice you could make. The extensions came packaged in a pretty black box and the hair came neatly packaged in a bag with a separate piece of hair that is designated to be the piece you use to make sure the color and length of the extensions match your hair properly. This is so you are able to return or exchange your extensions if necessary without having to actually open up the product because hair extensions are non-refundable if opened. The 24 inch, 200 gram set that I chose comes with a total of ten pieces - 1 piece of 4 clips (7.5"), 2 pieces of 3 clips (6"), 5 pieces of 2 clips (4"), 2 pieces of 1 clip (1.2"). Here is Chelsey wearing all of the extensions together. Her hair is naturally shoulder length, curly, and normal thickness. As you can clearly see, the extensions gave her a considerable amount of length and thickness and the color and texture of the extensions match her natural hair exceptionally well. If you have layered, shoulder length hair like Chelsey, I recommend curling the hair and extensions as I did. It helps blend any shorter pieces. If you have hair cutting experience, it'll look even more natural if you added layers to the extensions. I have worn this extensions even though they don't currently match my hair ( I am planning on coloring them and adding layers to them soon) and so has Chelsey and we both agree that they are super comfortable and extremely easy to put on. It only takes minutes to go from short to long hair! They stay put as well so you can go about your daily activities without any worry. The hair is ridiculously soft and smooth and I love that they aren't too shiny. They are definitely not dull, but they don't have that artificial shine that a lot of other hair extensions do. They look completely natural! I also put a quick look together for Chelsey while she wore the hair extensions. 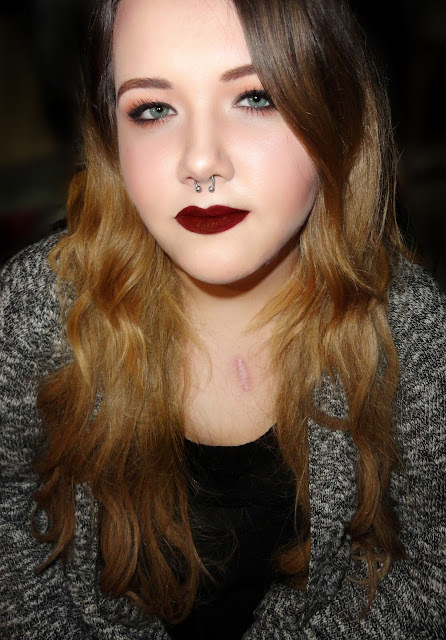 Since fall is right around the corner, I thought I'd create a super simple, modern and wearable grunge-y look. 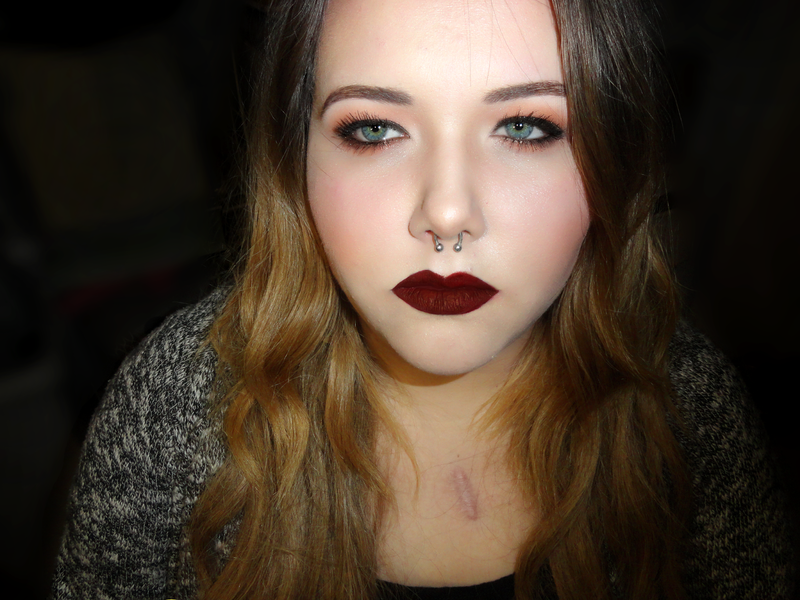 Chelsey has these gorgeous blue/green eyes so I used warm browns and a super bold vampy lip to bring the look together. 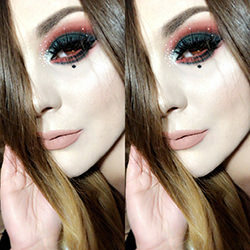 I hope you guys enjoyed the review and the makeup look. Let me know what you think!